Kenya thumped the neighboring country 3-0 at the Kasarani Stadium Sunday to inch closer to the 2019 Afcon in Cameroon. Goals from Michael Olunga, Eric Johanna and Victor Wanyama sealed the huge victory. The former Nairobi Governorship aspirant, who is in exile in Canada, challenged Stars to beat powerhouses like Brazil and Italy so that he can join Kenyans in celebrations. “Fellow Kenyans, celebrating the #KenyaVsEthiopia victory is like an adult celebrating that he has wrestled a toddler to the ground. Ethiopia went through a 30-year-civil-war and has been at the ICU since the war ended. 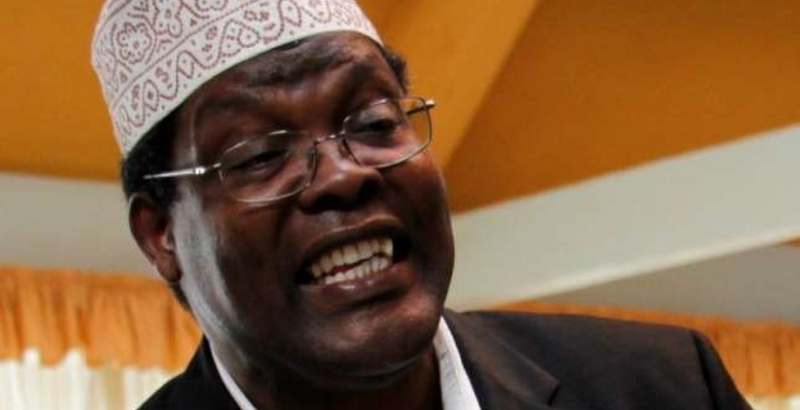 Beat Brazil, France or Italy and I’ll join your celebrations,” Miguna tweeted. Fellow Kenyans, celebrating the #KenyaVsEthiopia victory is like an adult celebrating that he has wrestled a toddler to the ground. Ethiopia went through a 30-year-civil-war and has been at the ICU since the war ended. Beat Brazil, France or Italy and I'll join your celebrations.